My love affair with Social Media and Social Networking started a little over 3 years ago. It all started with MySpace and then Blogging, Twitter, Ning groups, and finally Facebook. I put most of time into Twitter because it has been a wonderful means of connecting for both personal and business. I call it “Relational Marketing”. I looked at my Twitter stats the other day and saw that I have tweeted over 19,000 times and I have over 10,000 followers. It has been an amazing journey of opportunity. It wasn’t until about 6 months ago that I finally got on the ball with utilizing Facebook more. I had a profile, but I hardly ever posted and never checked the status of any of my followers. I was focused on other things and I only had a few friends. But my friends list is growing. I am up to 469 who range from old high school friends, church friends, family, business connections and so many more. Facebook has allowed me the opportunity to re-connect with people who I never thought I would find again. For instance there was one woman who I had lost touch with who had been a big help to me when I was going through a hard time (before marriage & kids). Her and her husband had taken me in until I could get on my feet again. I tried to find them online a few years ago, but didn’t have any luck. And just recently her name popped up in the Facebook sidebar of people who were suggested that I become friends with. I was floored and it still makes me wonder how that would happen. And that is not the only blessing, but Facebook also allows me to post pictures, share about my life, post recent projects, and even share prayer requests. I always get an immediate response. And I am able to keep in touch with friends and family who are in other states or even countries. I have to admit that I have been finding myself getting very distracted going back and forth between my online work, Twitter, and Facebook. But who can resist finding out the latest happenings going on in the people’s lives that you are following? And how about (my favorite) when people take the time to respond and comment back. Yeah the whole “Like” thing is great, but there is just something about that more personal connection. How about you? 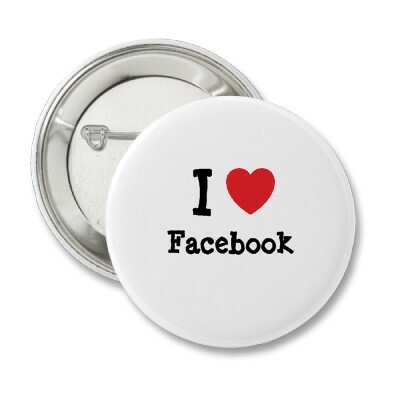 Are you a fan of Facebook? Do you have a hidden love affair going on? Have you met up with any interesting people from your past? Tell me! Tell me! I have found that same love of Facebook. Like you I connect with old school friends (and that’s a long time back for me! ), family, current friends and new friends. It’s also a great means of promoting my books. I do Twitter but don’t understand how you can keep track of your followers unless you stay on there all day reading. I have just over 1,000 and can’t imagine how you do it with ten times that! Enjoyable post, thanks! It is really hard keeping track of everyone on Twitter. I use Tweetdeck so that I can put people in categories and closely follow those of interest. But for me, Facebook is much different – more personal I guess. I love facebook, too. I’m not so in love with some of their policies, but I really have come to enjoy the resource. It’s great for business but it’s not just that; it’s great for keeping in touch with friends across the globe in a way that otherwise would be more difficult and/or time-consuming, like email. Twitter is cool, but the character limit is, well, limiting at times. And like you I have to use TweetDeck. Couldn’t Twitter without it. Hello Tina, thanks so much for commenting on my blog! I just checked out your jewelry and it is beautiful. I have been dabbling myself in jewelry making. I LOVE beads, that is pretty much all I wear. Someone suggested I also open an ETSY store…. we will see what happens. Anyway, have a great day!